Find Your Ram 1500 Here! For the hardworking drivers of Chatham-Kent, each day is an opportunity to achieve something great. To accomplish your goals, follow your dreams, and leave the words "that's not possible" in the dust, you'll need a truck that won't quit. You'll need a Ram 1500. 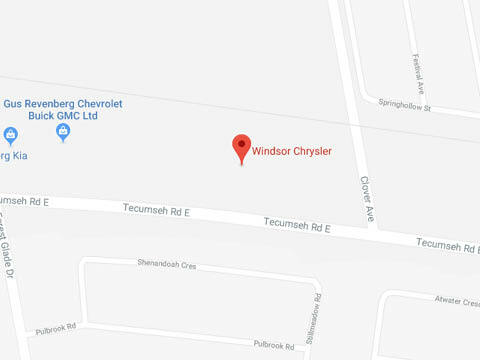 If you're looking for a Dodge Ram 1500 near Chatham-Kent, there's no better place to find it than Windsor Chrysler. 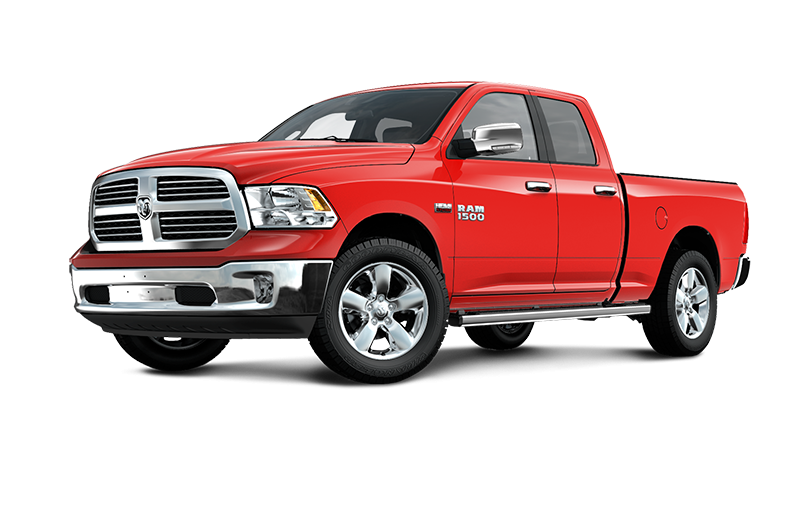 At Windsor Chrysler, we're proud to provide a massive selection of new and used Ram 1500 models. There's a reason we're known as the Ram Truck Superstore! If you can think of a job, our expert sales team can find you the perfect Ram 1500 model to take it on. The best part? We're not just a superstore in selection. We're a superstore when it comes to competitive pricing, too! Are you ready to push past the limits of possible? Visit Windsor Chrysler and get into a Dodge Ram 1500 near Chatham-Kent today! Not only will we get you behind the wheel of an exceptional truck, we'll provide the kind of service that you'll be excited to talk about! You can find us at 10380 Tecumseh Road E in Windsor, ON, or call us at 519-979-9900. Discover more options at the Ram truck superstore! We're proud to offer Canada-wide shipping. When you choose Windsor Chrysler, your first oil change is free! Every Dodge Ram 1500 purchased near Chatham-Kent is just as spacious on the inside as it is on the outside. Thanks to best-in-class cargo versatility, the Ram 1500 gives you a place to stash almost everything. The centre console features a media hub for your electronics, while the rear under-seat storage bins, behind-the-seat storage, and in-floor storage make stowing your gear a breeze. Go ahead, bring it all, in the Ram 1500! A legendary truck needs a legendary lineup of powertrains to drive it. From the workday to the weekend, the Ram 1500 is engineered for superior performance. Whether you choose the efficient 3.0L EcoDiesel V6, the best-selling 3.6L Pentastar VVT V6, or the breathtaking 5.7L HEMI VVT V8, you'll always have the right amount of power for any job. This is the truck that gives "get up and go" its get up and go! Whether you're heading out to a job site, or going in search of new adventures, you'll need a truck with exceptional towing ability. The Ram 1500 delivers, with its towing capacity of up to 4,826 kg (10,640 lbs). And with the Trailer Brake Control system keeping you on the straight and narrow, you'll be able to take everything you need, no matter where your road guides you. When it comes to parking in tight spaces, have you ever wished for an extra pair of eyes? Thanks to the available Parkview Rear Back-Up Camera and integrated parking assistance technology in the Ram 1500, you'll be able to park almost anywhere with ease. The camera lets you quickly and easily visualize hazards, while the parking assistance technology lets you know how close you are to surrounding objects. Park like a pro in the Ram 1500! At Windsor Chrysler, we believe that taking home a new or new-to-you car, truck, or SUV should be a fun and relaxing experience. That's why we're proud to give drivers all across the county a better way to get behind the wheel. Whether you're looking for a stylish Chrysler, a dependable Dodge, an adventure-ready Jeep, or a hardworking Ram, our impressive inventory has something for everyone. There's a reason we're known as a superstore! Our friendly and knowledgeable sales team will help match you with the new or used model that's got everything you're looking for - and more! Your incredible dealership experience doesn't end with our selection, either. With fabulous perks like our valuable referral program, price guarantee, Canada-wide shipping, and your first oil change free, it's no surprise that we've grown to be the biggest Chrysler dealership south of the GTA! You can find us at 10380 Tecumseh Road E in Windsor, ON, or call us at 519-979-9900. Great place to get a car from. Super friendly and professional service. Great staff, especially Sevan Shlimoon. Loved it! Really professional sales employees. Great service staff. Fast in the service department usually about 20 minutes for an oil change.